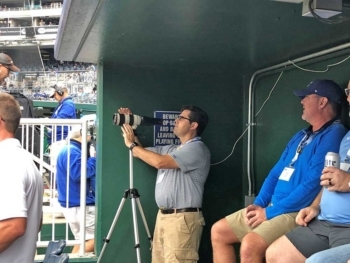 Kenton Brothers and AXIS Communications team up to Root on the Royals and check out new technology! We love our boys in blue in Kansas City! 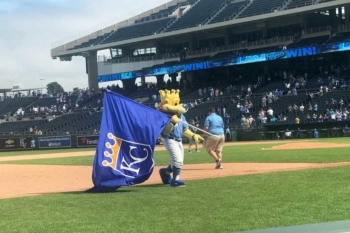 The Kansas City Royals have reached new heights in recent years and won the World Series in 2015. They inspire greatness and have served as an example for Kenton Brothers and other champions like Axis Communications to set the bar high and work hard to accomplish great things. 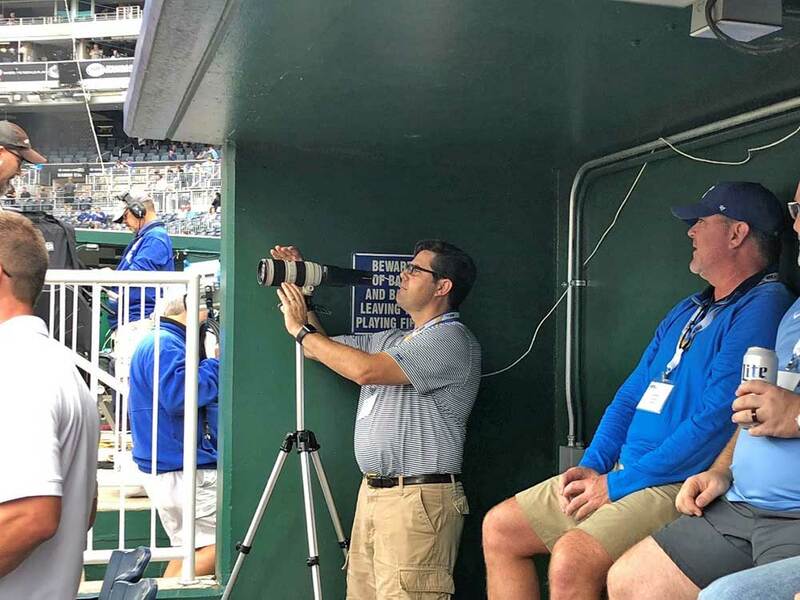 Kenton Brothers was honored to attend the Axis Communications event at the K this summer to see them show off their newest technology and see some great baseball. Kenton Brothers is a Gold Partner with Axis and loves to take any opportunity it can to develop that relationship. 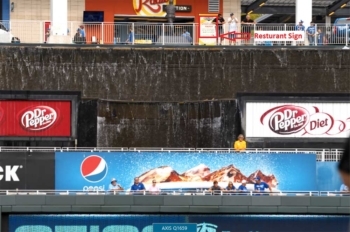 Axis sets new standards for image quality in video surveillance, combining Canon professional photographic imaging technologies with proven performance and integration benefits. Axis raises the bar on image quality for a security camera with the introduction of AXIS Q1659 Network Camera. 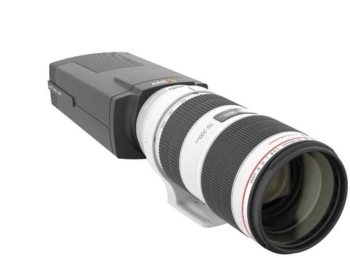 It combines a high-performance image sensor and Canon EF/EF-S lenses with the full range of Axis flexibility, ease-of-use and efficiency features to provide exceptional image quality in extreme detail for a range of surveillance needs. It is an ideal offering for detailed surveillance over long distances for cities, airports, transportation, stadiums and other open areas. 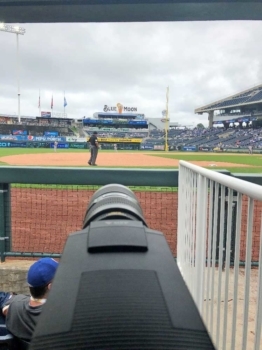 “This camera is truly a best of both worlds approach: The world-class image quality Canon is known for with its professional-level photography technology and Axis’ market-leading security systems that deliver everything required for a complete, flexible and easy-to-manage installation. In addition to the extreme level of quality and detail, AXIS Q1659 (thanks to its broad VMS support) can be quickly integrated with existing security environments,” says Olof Leidecker, Global Product Manager at Axis. AXIS Q1659 delivers 20MP resolution at 8 frames per second (fps), achieving unprecedented levels of detail for observing open spaces and across long distances. It features digital single-lens reflex (DSLR) imaging technology and offers a choice of 7 different EF/EF-S lenses depending on individual user needs. Equipped with an EF lens mount, the camera enables easy lens changes. The new camera also offers the latest enhancement of Axis’ Zipstream technology, which offers even more storage and bandwidth savings in video surveillance applications without compromising on important image details. In addition, an SFP slot for optional fiber connectivity gives the ability to connect to the network over long distances. 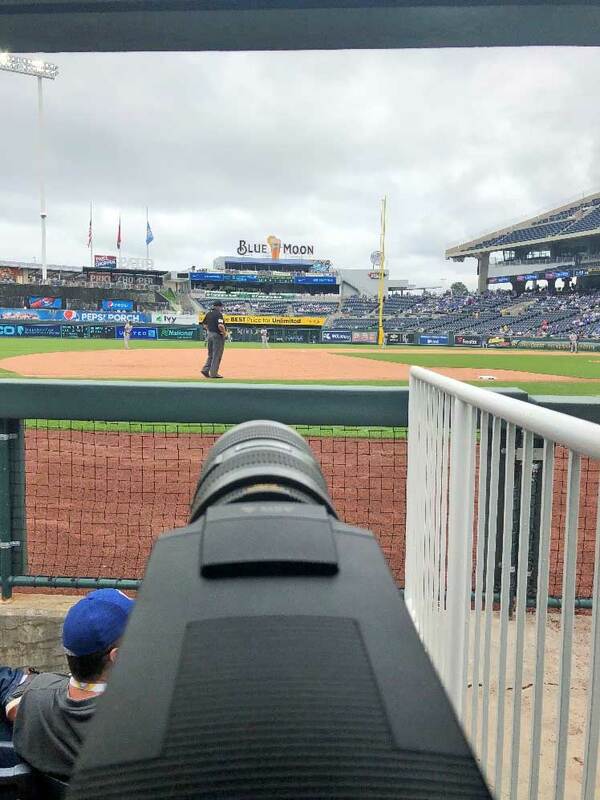 As seen at beautiful Kauffman Stadium “The K”, the Axis Q1659 equipped with the Cannon 70-200mm telephoto lens can capture exceptional detail at well over 400 feet away. 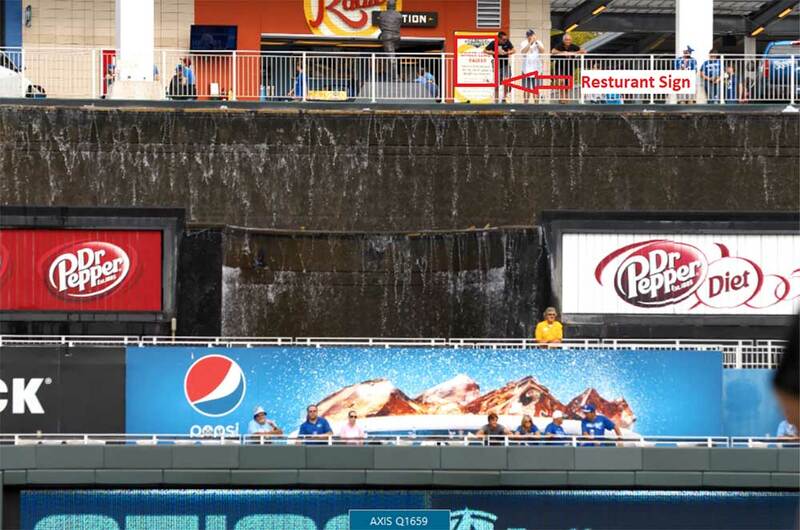 In the video clip you can read three-inch letters on a restaurant sign at 425 feet away, through a guard rail. Even the name of the restaurant, despite the sign being covered by poor lighting, is legible. When the Axis Q1659 is equipped with a number of available lenses, it is able to support Axis Lightfinder technology, for enhanced low light performance. Kenton Brothers can help you explore the Axis Communications camera line and design the right plan to meet your needs. Give us a call today! https://kentonbrothers.com/wp-content/uploads/2018/09/Kenton-Brothers_AXIS-Communications-Royals-02web.jpg 998 748 David Strickland https://kentonbrothers.com/wp-content/uploads/2017/10/Kenton-Brothers-Logo.jpg David Strickland2018-10-17 06:00:542019-03-25 11:29:03Kenton Brothers and AXIS Communications team up to Root on the Royals and check out new technology!